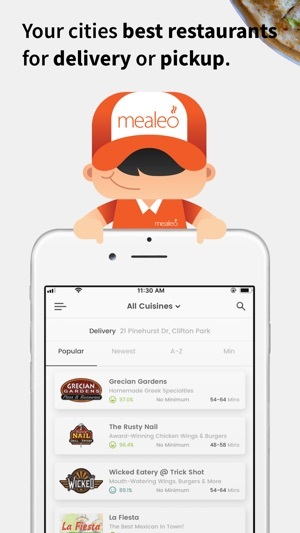 Mealeo gives you instant access to your cities best restaurants for delivery or pickup. Whether you're at home, the office, in your dorm, or on a unicorn - we'll deliver straight to you, on-demand. 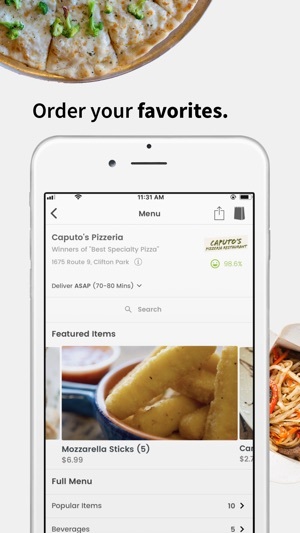 Browse menus from restaurants in your city. Choose a familiar favorite or find a new hidden gem. Maybe you want sushi? A pizza? Hot General Tso’s Chicken? Whatever it is, we’ve got it all. Customize your order down to the sauce, spice, or crispy level. Add special requests to your order so the restaurant prepares it just the way you like it. Whether you're hungry at home, the office with colleagues, on a unicorn, or your dorm with roommates - we'll deliver straight to you, on-demand. Or, head out for some fresh air and pick it up yourself. We’ll deliver to you whenever you want it - morning, day and night, as long as the restaurant is open to prepare your order. You can even schedule an order up to 7-days in advance, if you’re an ultimate planner. We believe that loyal customers deserve special treatment, so you’ll earn Mealeo Gold on every order you place. Use your Mealeo Gold for free food and deliveries. 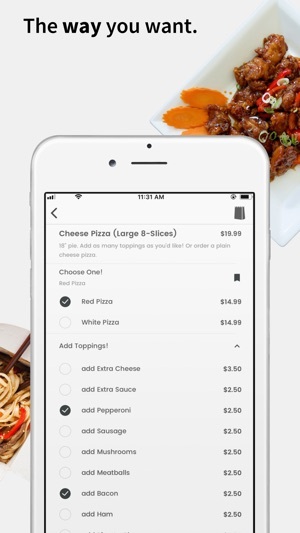 Save those gooey mozzarella sticks, that crispy bacon cheeseburger or the spicy pad thai as a favorite in your account, and reorder them with just a few taps. Track your order from the moment you submit it, to the moment it’s about to go into your mouth. In an effort to get your food to you as fast and fresh as possible, a real human assigns your delivery order to the Delivery Partner who can get your order to you the fastest. Sharing is caring. 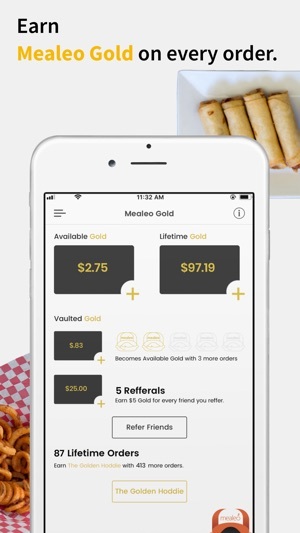 Share your personal referral code to send friends $5 in Mealeo Gold. 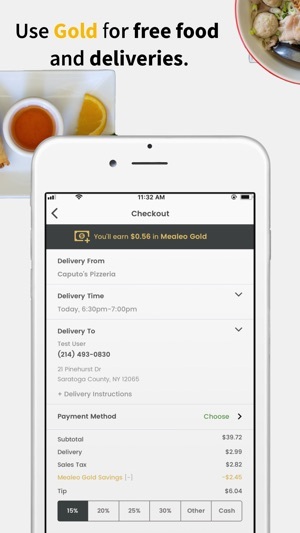 After they place their first delivery order, you’ll receive $5 Mealeo Gold. Apple Pay, PayPal, Debit Card, or any major Credit Card. • Everything; a complete redesign. • Rewards; earn Mealeo Gold on every order, and for every friend you refer. Use it for free food and deliveries. • Save & reorder your favorites with a tap. • More ways to pay; Apple Pay, PayPal, all major credit cards. I know this redesigned app has been in the works for nearly 2 years, but rightfully so. This app BLOWS their original app out of the water. It loads fast, is super clean, and the easiest ordering process I’ve come across. Ty to the Mealeo team for replacing the old app and releasing this rad one. And thanks for the rewards on every order, I love it! 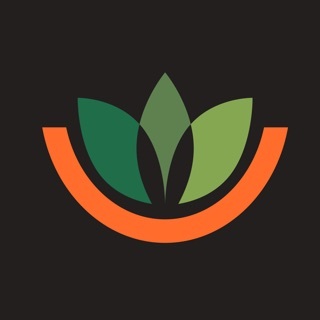 Mealeo has a new app and it’s amazing. Ordering is (dangerously) easy, and all my favorites are a few taps away. 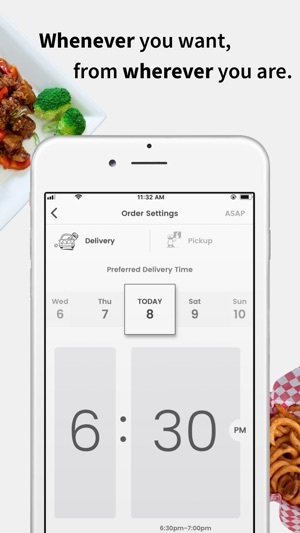 Thank you Mealeo for FINALLY creating the food ordering app of my tastebuds dreams. Thank you for such a great update!